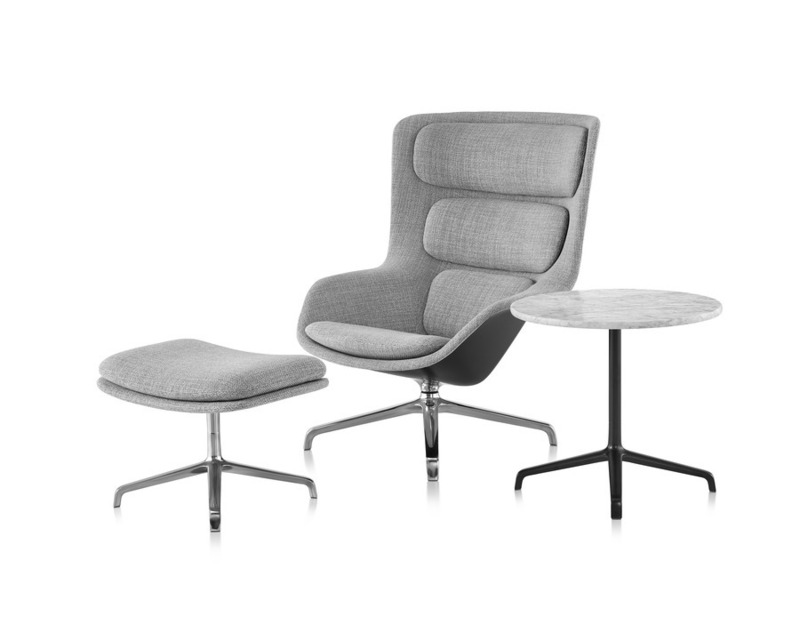 Extending the idea of comfort that inspired designers Markus Jehs and Jürgen Laub to create their Striad Lounge Chair, coordinating Striad Tables bring a confident presence to a variety of work settings. The way a beautiful coffee table anchors a living space, these occasional tables serve as gathering points for casual meetings or focused task work. Tops are fixed at just the right heights for supporting laptops and other work tools, with a choice of USB units or other power options available to keep tools powered without compromising the warm, residential appeal. Bases share the same sleek profile and materiality as the Striad Lounge Chair’s four-star base.